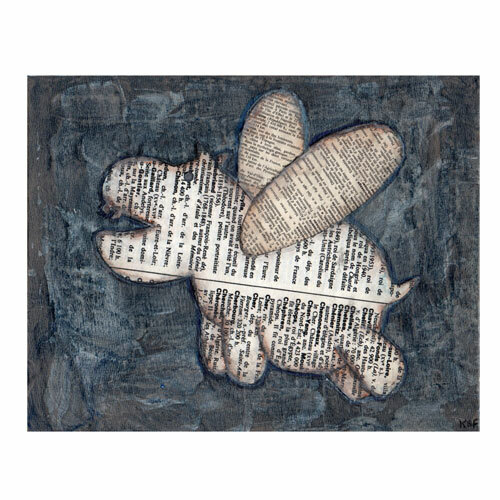 Old French dictionary paper makes up the body and wings of this darling flying hippo. Painted on a 10″ x 8″ canvas panel that is ready to be framed, the hippo and the moon are applied to a distressed painted background. This will look charming in any room of your home that needs a little whimsy! These are hand-made and no two are exactly the same. If you like it you can buy yours here. Changed your mind? Click here to cancel.